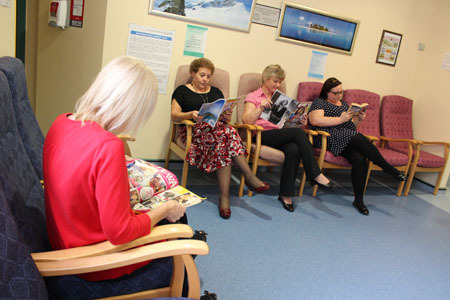 The National Breast Screening Programme routinely operates by invitation only. Women will receive their first invite before their 53rd birthday. If you are aged over 70 we will not routinely invite you, but you can still request a screening appointment. We are taking part in an age extension trial which means we also invite some women aged 47-49 and some women aged 71-73. Which women we invite from these age groups is completely random. Why do we not routinely invite women younger than 50? A lot of research has been done to make sure that breast screening will benefit the women we invite. Previous research has found that screening women under 50 has not been very beneficial. This is because your breast tissue changes as you grow older. It is much more difficult to identify changes in younger breasts. At the Humberside Breast Screening Service, we have recently installed new digital mammography equipment. The new digital equipment takes x-rays in a different way and gives us an even clearer picture. For this reason, we are taking part in a trial where we invite some women aged between 47-49 for screening. The trial will show us whether screening could now be beneficial for women aged between 47-49. If you are under 50 and receive a screening invite, it is because you have been selected to take part in the trial. If you do not wish to take part, please contact us straight away and cancel your appointment. The risk of a woman developing breast cancer increases significantly with age (from 1 in 2,000 for a woman aged 29 to 1 in 22 for a woman aged 59). Breast cancer affects 1 in 8 women in the UK. It is important that you are breast aware no matter what your age. We are not able to screen women who have had a bilateral mastectomy (complete removal of both breasts). If this applies to you, please make sure that your GP sends us a ‘cessation form’ for you. If you have had a unilateral mastectomy (complete removal of only one breast), we recommend that you still attend your screening appointments when invited.